Dr. Shower Door and Mirrors is a professional company that specializes in shower door installation and shower door replacement. 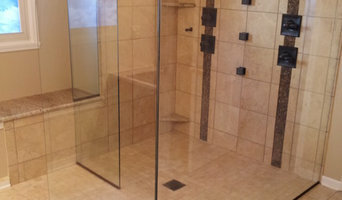 We are determined to offer the best shower door products and professional installations. We care deeply about offering the best service possible to our clients.This is because at Dr. Shower Door and Mirrors, we strive for excellence and we are determined to achieve it. Lee Supply was founded in 1949 by Herbert Lee as a specialty plumbing supply house. Since 1949 we’ve grown into one of the largest family owned and operated distribution companies in the Midwest. While we hold-fast to our plumbing and heating distribution heritage, Lee Supply is equally know as well for our Kitchen and Bath Showrooms. Our showrooms now include kitchen & bath fixtures and accessories plus appliances, lighting, countertops, cabinetry and storage solutions – all from top-of-the-line manufacturers. Brizo is a luxury fittings brand for those who understand that fashion isn’t just about clothes—it’s a lifestyle. It's the culture we experience, the places we travel, the things we eat—and yes, the way we design our homes. Brizo creates distinctive designs that don’t just complete rooms, they inspire spaces. Available exclusively in showrooms. Mid to low budget kitchen and bath remodeling. Cabinetry Green is proud to offer its unique style of custom cabinetry to Indianapolis and surrounding areas. Our philosophy is based around fair and honest practices. Where you know exactly what you're purchasing, how much it will cost and when it will be installed. Our work is reasonably priced, precise and meticulously finished. Cabinetry Green is fully insured to fabricate and install custom cabinetry in your home. References for previous clients are available as well as on site visits to view currently installed work. We have a beautiful 2900 sq. ft. Showroom along with a parts counter. Newly remodeled with Kohler, Brizo, MTI, Aquatic, Moen and much, much more. Peerless offers affordable faucets with proven design in a range of styles and finishes offering consumers an easy way to refresh the bathroom and kitchen. Distributed through Lowe's as well as selected hardware stores and other retail outlets, Peerless provides installation support every step of the way from detailed installation instructions, to Internet support, to a toll-free help line. Backed by Delta Faucet Company, the largest U.S. manufacturer of residential and commercial faucets, all Peerless faucets come with a limited lifetime faucet and finish warranty. Unique bath decor lighting & design concepts. At Stonesmiths Inc., we offer an impressive variety of stone and glass options in Indianapolis. From granite and marble to quartz and glass, our selection of products offers customers the opportunity to find the perfect material and color for their countertops, tabletops, bars, and more. P-M & Associates Inc is a manufacture's representative for both the states of Indiana and Kentucky. I am the Kitchen and Bath Specialist that sells products to wholesale distributors for the kitchen and bath design industry. Kitchens and bathrooms are the most renovated rooms in any Indianapolis home. Storage is a top concern in these rooms, so hiring Indianapolis, IN professionals to create and install custom cabinets in your home can be key to expanding your spaces and controlling clutter. 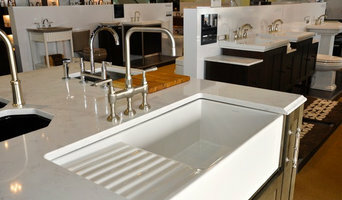 Use the Houzz Professionals listings to find Indianapolis, IN kitchen and bath accessory vendors. Don’t rule out asking a kitchen manufacturer’s design team for help, too. Skills often can be overlapped to save you time and money! Here are some related professionals and vendors to complement the work of kitchen & bath fixtures: Kitchen & Bath Designers, Kitchen & Bath Remodelers, Interior Designers & Decorators, Cabinets & Cabinetry. Find kitchen and bath fixtures and accessories, plus installation experts, on Houzz. Check out Indiana kitchen products and installers, and bath plumbing products and installers, on Houzz. You can also look through project photos provided by Indianapolis, IN renovators, retailers and designers.